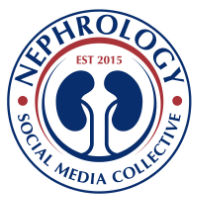 Nephrology Workforce Annual Fellows report in 2015 is being collected by ASN via a survey. This survey, being performed by colleagues at Geoorge Washington University, will be very useful to understand our workforce related concerns. A prior survey done in 2014 had some alarming results. See link below at ASN website. The Workforce committee of ASN has spent the last 5 years or more attempting to draw conclusions about fellowship trends and workforce needs from fragmented information. This is one of our few opportunities to gather good data and have it analyzed by those with expertise in healthcare workforce studies. I think the fellows in the USA should take this opportunity to help out the field of Nephrology. You should try to must complete the survey you received from ASN.